I have been publishing this blog since December of 2005, and it's had a nice happy run. But that is about to change for the better...in a big, big way. 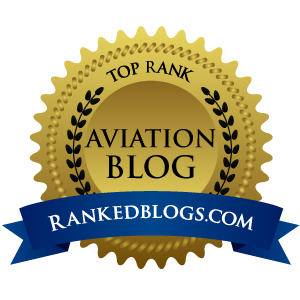 When I began this blog, blogging was really cool, everyone had a blog, and it was a great way to blast my daily aviation thoughts, opinions, stories and crazy ideas out into the world. A few "blogs" stood out from the "what I ate for breakfast" blogs, but the very nature of a blog was limiting to large-scale growth and national acceptance. I had no idea what to expect when I began this blog. 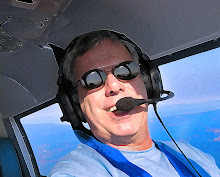 As a trained journalist, former Sports Editor, closet newspaper column writer, and of course, lifelong aviation fanatic, I knew I could be satisfied posting my daily ramblings about whatever I choose. Over the 5.5 years I have written and published this blog, I have grown my readership somewhat, but in the last few years, that growth has hit a major plateau. No amount of social networking has given the blog the bump in traffic I was always hoping for. My new AIRPLANISTA MAGAZINE, will be full-fledged online aviation magazine that will resemble the print publications you are used to reading. The main difference though will be that it will be published online only, using a great service I have located that has perfected the task of publishing online magazines. This new project will resemble the former blog in spirit only, everything else – from the name to the content to the style to the frequency to the art – will be a complete makeover. And it is going to be fantastic fun, you have my word on that. And about that name? Well, you'll just have to read the first issue for that backstory. Throughout my travels and from spending lots of time on Twitter as @Av8rdan, I have "met" lots of very cool aviation people. Every one of them has something unique to add to the conversation we call the "aviation community" and with this new magazine, I plan on giving them a voice. Many already have their own sites or blogs, and I am rounding some of these familiar online names up to produce content for this publication. 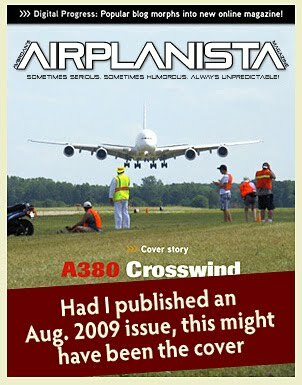 My goal is to make this magazine a welcome addition to your aviation reading, a place where you can sample the work of many of the hot writers and photographers out there, along with adding a few new ones to that party. Of course, me being ME, you can expect sumptuous portions of the same content I have been producing for my blog, served with the same tone and lighthearted style, only with LOTS more photos. And I have some surprises planned, enough to keep things interesting. I want this new magazine to really be a big brush look at the entire aviation world. Not just jets...not just flight training, not just used airplanes. So I am hoping that anyone with a story to tell will send those to me with photos. If you've been trying to break into aviation journalism but can't get a foot in the door of the big magazines, this new publication may provide the vehicle to get your work out there. I will also be relying on the Twittosphere to keep the buzz alive, since this will be a monthly book and I do not want interest to wane before each new issue drops. So there it is, all laid out. My new world in beautiful full color, online for all the world to see. Are you with me? If you join me for this ride and tell your friends, I promise a monthly journey through our aviation world that will be well worth your time. And if you help me get the word out as each new issue publishes, we might be able to fire some people up about learning to fly when they see how much FUN we're all having. Wow, this is gonna be a blast!